Life is for living. 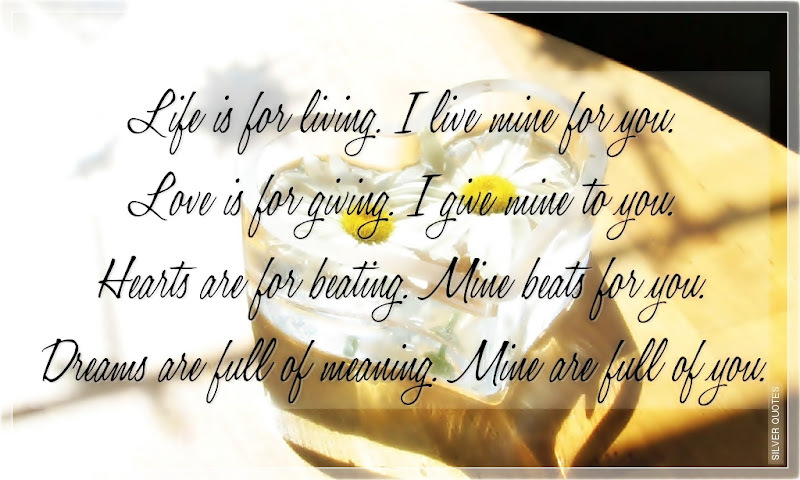 I live mine for you. Love is for giving. I give mine to you. Hearts are for beating. Mine beats for you. Dreams are full of meaning. Mine are full of you.